The founders of the national movement on why they are supporting the freedom fighters of Baltimore. We are lovers. We refuse to allow our brothers spine to break in the dark without the song of our grief being heard. There are those who do not acknowledge that our rage is a symptom of our grief, a symptom of a society that has all but left us for dead. Their narrative is ahistorical and disconnects us from our legacy of demanding justice. 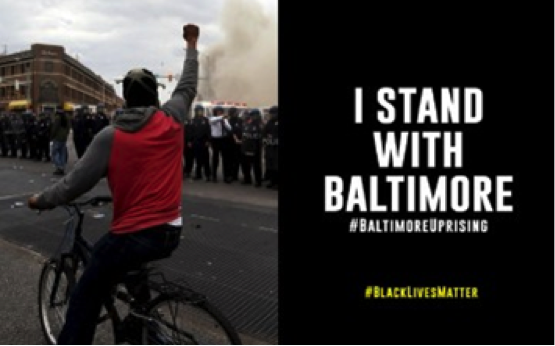 We stand in solidarity with the people of Baltimore and the millions of Black people across the country who are tired of poverty, racism and state sanctioned murder. Black people, we are fully deserving of the room and space to fully express our humanity. 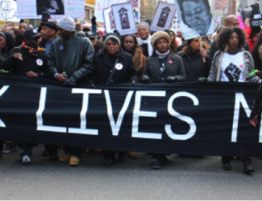 This is what Black Lives Matter is truly about. We support all of our emotions, from our bliss to our anger to our grief. All of it is welcome, as this is what it means to be human, to love and to lose those that we love so much. We acknowledge that our uprisings are being fueled by the love we have for ourselves and for one another. A love that challenges silence, repression and death.